When a seller asks me for advice regarding updates, I am only so happy to oblige! Sometimes it makes sense to just get a house on the market and sell as it. Other times, it makes sense to do some simple updates in order to increase value. This home had many bigger ticket updates, in addition to some recent ones. This darling bungalow has a quaint living room that opens to the kitchen and a small nook. The wood burning fireplace goes floor to ceiling in true mid century fashion. Original hardwoods are throughout much of the house, perfectly distressed and not lacking in character. The family room has a dining area, perfect for a table of any size! 4th bedroom or office is off the garage. Bigger ticket updates for this home include new windows, new roof, new furnace, newer water heater, newer Trex deck. 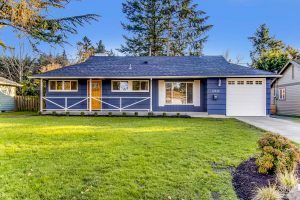 Cedar Hills is a fabulous location, close to both highway 26 and 217. There is a brand new shopping center going in just across from this home’s neighborhood that will make a great addition to the already great stores and restaurants including Baja Fresh, MOD Pizza, Firehouse Subs, Five Guys, etc. This home will be open Sunday, December 11th from 1-3.